Vaughn Karpan was born in 1961 in Flin Flon and grew up in The Pas. He played junior with the Brandon Wheat Kings and New Westminster Royals and scored 98 goals and 169 points in 102 games with the U of Manitoba Bisons. 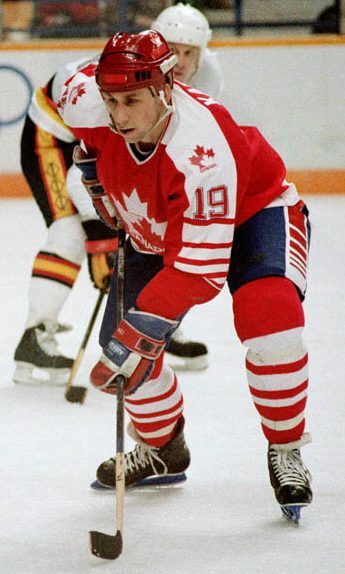 Karpan played 213 international games for Canada including in the 1984 Olympics in Sarajevo and the 1988 Olympics in Calgary. He has been a scout for a number of NHL teams and presently is a pro scout for the Montreal Canadiens.